This weeks first headline comes out of Pennsylvania. That is in America. The United States of America. Penn Judge Tosses Case in Which Muslim Was Accused of Attacking Atheist. This all started when Ernie, an atheist, was in a Halloween parade dressed up as, "Zombie Mohammad." Talaag, a Muslim, was watching the parade and took offense. The Muslim attacked the Atheist. The police arrested Talaag for Assault. There was even a video of the attack. Judge Mark Martin, however, threw the case out and did not allow the video in as evidence. The Judge then verbally assaulted the victim, Atheist Ernie, telling him he was, "a doofus," and that Talaag had the right to attack him according to Sharia Law. This is mind-blowing stuff. The article concluded with this: "It should be noted that another atheist, dressed as a Zombie Pope, was marching beside the Zombie Muhammad. No outraged Catholics attacked him." For Second Place, we go South of the Border to Mexico for this headline: Cruise Line: 22 Passengers Robbed in Mexican Seaside Resort. The United States State Department has warned of travelling to Mexico due to the increased violence over the last few years. Over 47,500 people have been killed in Mexico in the last five years alone. 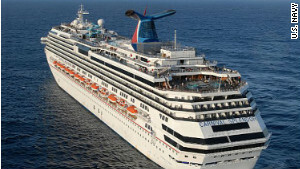 Fortunately, none of the Carnival Cruise passengers were injured. They just had their money, jewelry, cameras, and passports stolen while ashore on a guided nature hike. If you go on a Caribbean Cruise, I'd suggest staying away from one that stops in Mexico or if it does dock there, stay on the boat! But what if you are on an Italian Cruise ship? Should you take your chances with Mexican bandits or a drunk ship captain? 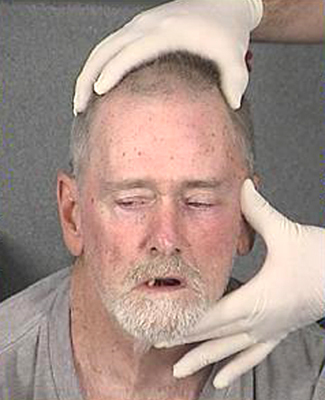 This weeks Story of the Week is from Florida- Repeat: Do Not Call 911 If You Need A Taxi. Michael was making a nuisance of himself by continuing to call 911 and requesting a taxi. It is not clear why he did not just call a taxi for himself. He also asked the dispatcher for help in locating his lost football. Police officers were able to ping his cell phone and located Michael still on the phone with the 911 operator. When he saw the approaching officers, he hung up the phone and covered his head with a blanket. Officers did give Michael a ride...to the jail for making Misuse of 911. The police also "impounded" his cell phone. There was no mention of the officers being able to locate the lost football.